Quick listener, roll a dexterity check! Oh, a 6 you say? 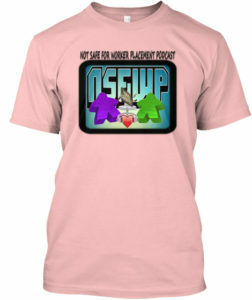 Well let’s just say you get smacked up side your head by a big ‘ol sack of The Not Safe For Worker Placement Podcast! You shouldn’t have multi-classed as a Sorcerer, everyone knows they are chumps. Oh well, take that sucking head wound as a lesson and cheer up buckaroo because we have got quite the show for you! 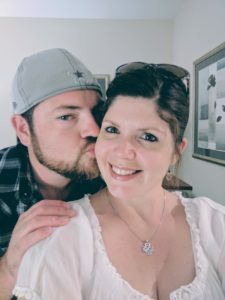 This episode we talk our recent D&D adventure, what other games we’ve been playing, bring you an all new music segment and give an extensive recap of Moon City Con 2018! The anecdotes are flowing like the crimson blood over your face as we thank everyone who came out and made the convention as excellent as a well placed melee attack to the cranium! Health Potion? Drink em if you got em and sit back and relax to the soothing sounds of episode 20. Don’t you dare fall asleep though, you most likely have a severe concussion. 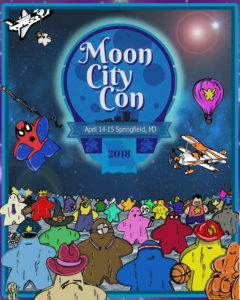 Comment below on how many meeples you can identify to win a Moon City Con Commemorative VIP swag bag!